This nation’s 16th largest city is home to Fortune 500 companies and the Indianapolis 500, to the Indianapolis Colts, the Indiana Pacers, the NCAA Hall of Champions, and to a James Beard-recognized food scene. Whether business leaders, sports fanatics, or foodies, people feel right at home in Indy. As an anchor institution, IUPUI definitely feels at home here. Guided by Our Commitment to Indiana and Beyond: The IUPUI Strategic Plan, the campus serves as a powerful economic engine and a hub of research innovation for the city. Our more than 8,000 faculty and staff live in and around Indianapolis. Our payroll alone amounted to $830 million last year, with spending on goods and services at the $303 million mark—60% of which was spent in Indiana. And over the past 50 years, our research enterprise has attracted more than $7.7 billion in grants and awards that have put our faculty on the cutting edge of discovery. This is the perfect environment for partnerships on projects such as the 16 Tech Innovation District, situated on the north edge of the IUPUI campus. Already home to the Indiana Biosciences Research Institute, 16Tech broke ground on its first new building in 2018 and promises to generate research and creative opportunities for IUPUI and the broader Indianapolis community. A great city must have at its heart a great university. Those who love this city and prize academic excellence and opportunity should not rest until these goals are secured in Indianapolis. 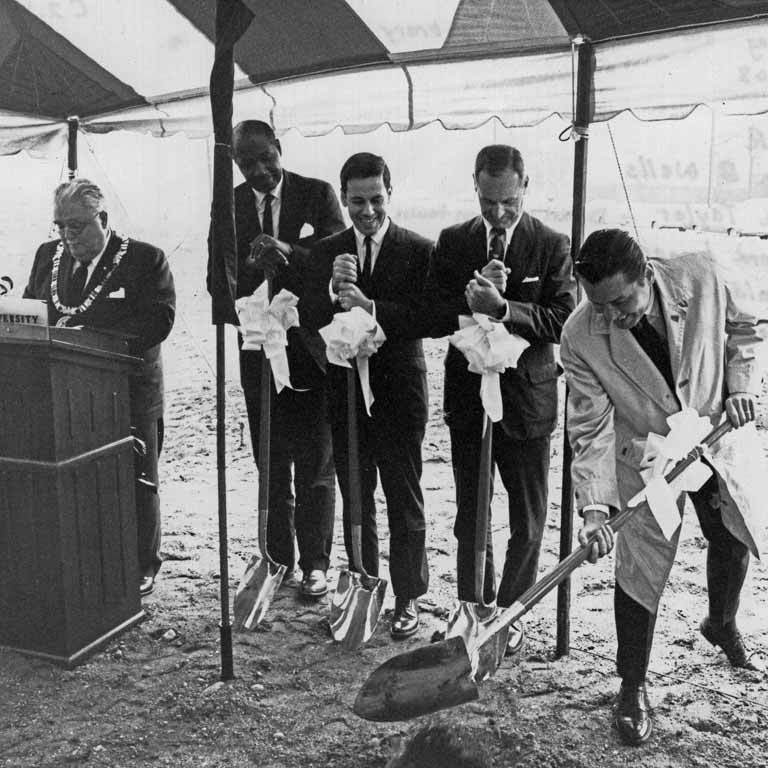 In 1968, Richard Lugar (third from left), mayor of Indianapolis, leads the groundbreaking for IUPUI’s first building, Cavanaugh Hall. 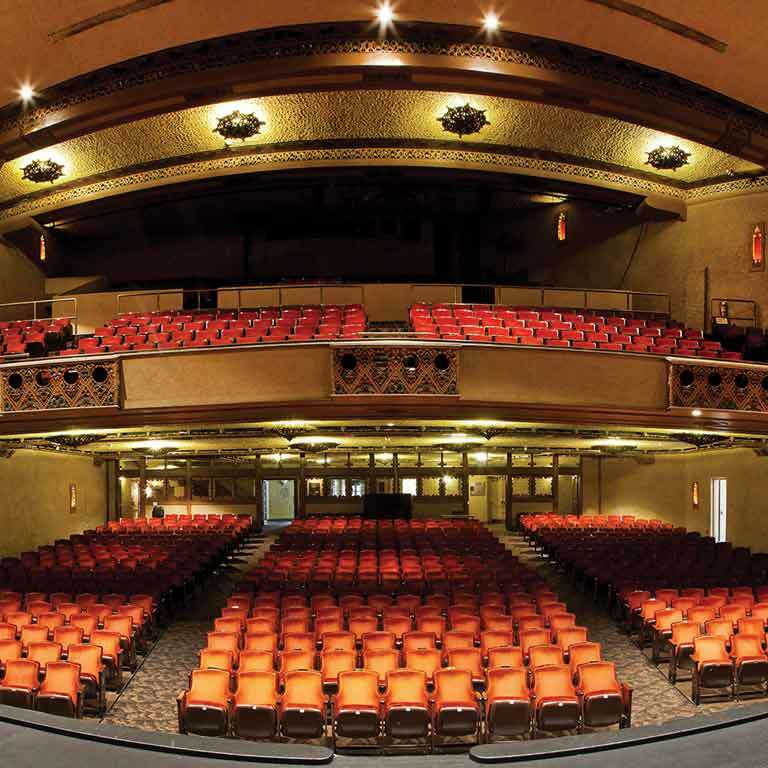 In 2018, IUPUI partnered with the Madam Walker Legacy Center board of directors and Lilly Endowment to prepare for a visionary renovation of the Walker Theatre, a cultural treasure in the heart of Indianapolis.